Bracker’s last race was sixty years ago. 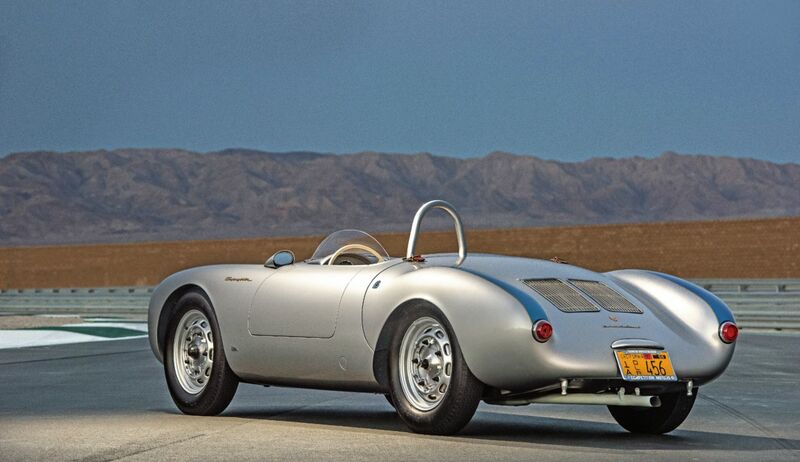 The Porsche 550 Spyder was a further development of the Porsche 356. It weighs around 550 kilograms with an empty tank. James Dean and Lew Bracker chatting with their colleague and Speedster driver Dale Johnson shortly before a training lap. Johnson was a rival to be reckoned with in Jimmy’s three races. On September 18, 1955, Bracker was driving home when he spotted a 550 Spyder for the first time at Competition Motors in Hollywood. He told Jimmy about the featherweight silver racing car that same evening. Bracker and Dean, who were both in their mid-twenties, loved to talk about racing, cars, and especially Porsches. Three days later Dean drove up to Bracker’s home in that very same silver Spyder. Dean had traded his white Porsche 356 Speedster for it. 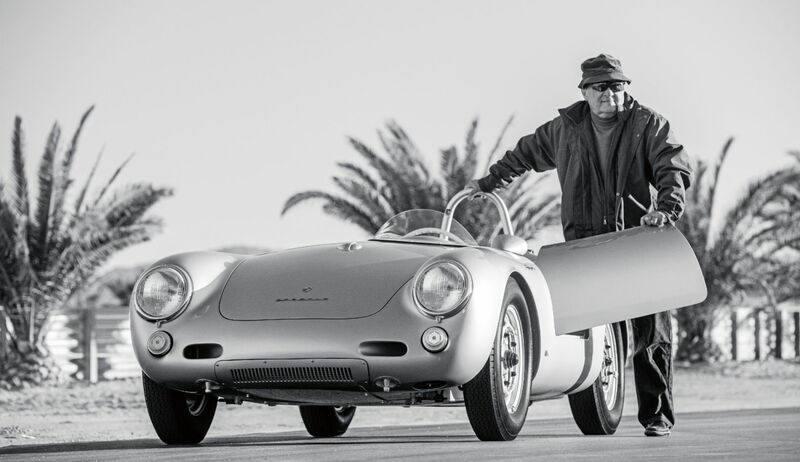 “I promptly traded my red 356 Speedster for Jimmy’s,” says Bracker. 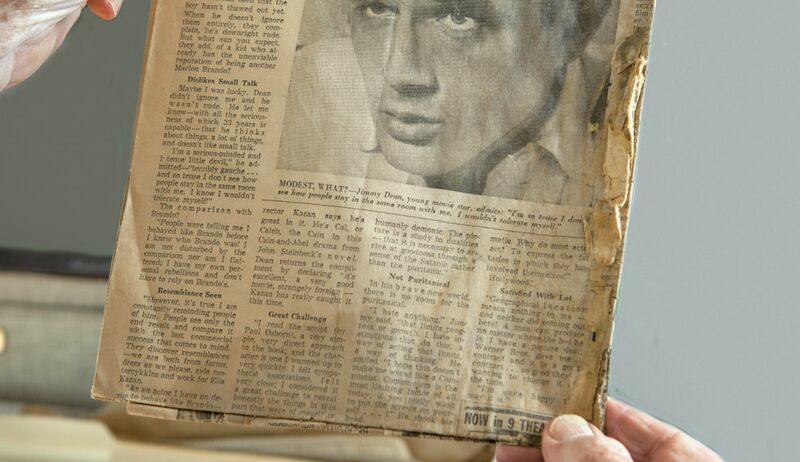 Lew Bracker with an old newspaper article about James Dean in his hands. 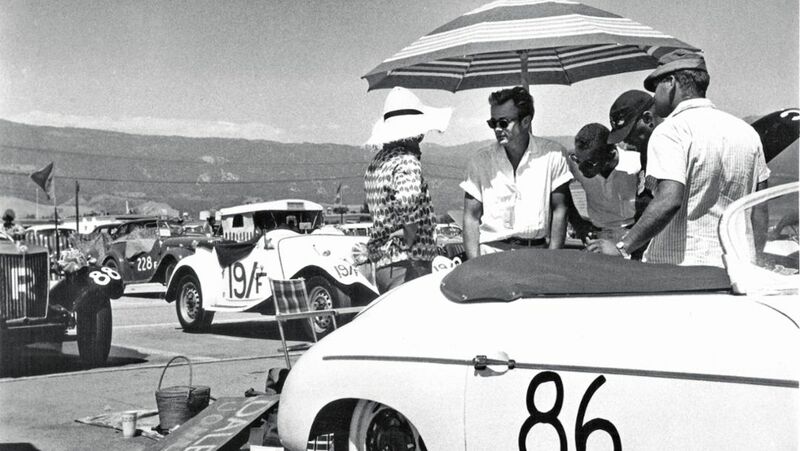 Lew Bracker’s memories of the Porsche 550 Spyder come flooding back at the Thermal Club racetrack in California. Bracker pulls a dust-covered attaché case from the closet, opens it, and pulls out mementos of his friend Jimmy. There’s a yellowed interview from the Los Angeles Times in which Dean expresses little enthusiasm at being compared with Marlon Brando. And an edition of the Fairmount News with articles about Dean’s death and his funeral in Fairmount, the small town in Indiana where Dean grew up with his aunt and her husband following the death of his beloved mother. Bracker attended the funeral on October 8, 1955. In the spring of 1956 he drove the 3,500 kilometers from Los Angeles to Indiana in a new 1600 Speedster to visit Dean’s foster parents. 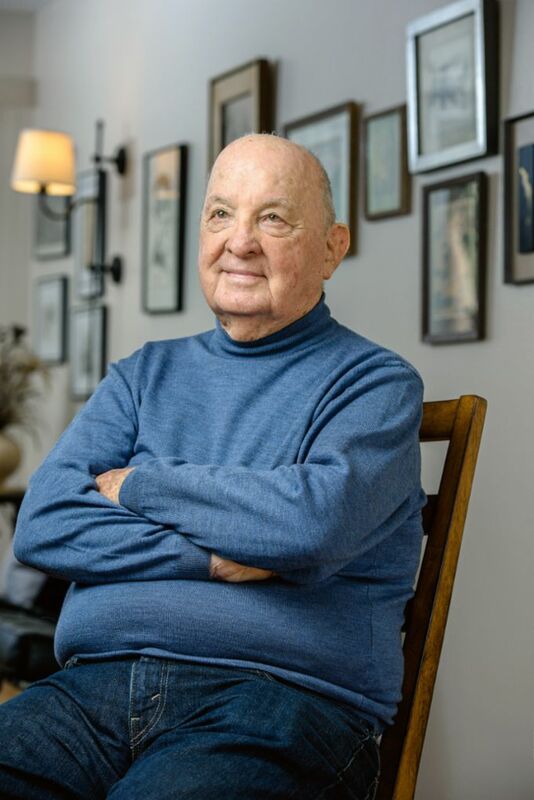 It was a memorable event for Dean’s cousin, Marcus Winslow Jr. “I was twelve at the time, and Lew took me around the area in his little Porsche Speedster. That was the first time I’d ever been in a Porsche,” Winslow recalls. “Lew has never forgotten Jimmy— nor have we.” Marcus Winslow Jr.